Being a positive contributor to our environment is a responsibility that we all share. Now it is one that is more attainable than ever by converting to LED lighting. Converting to LED lighting can have a positive impact on our environment. By reducing our consumption of electricity, we reduce our carbon footprint. 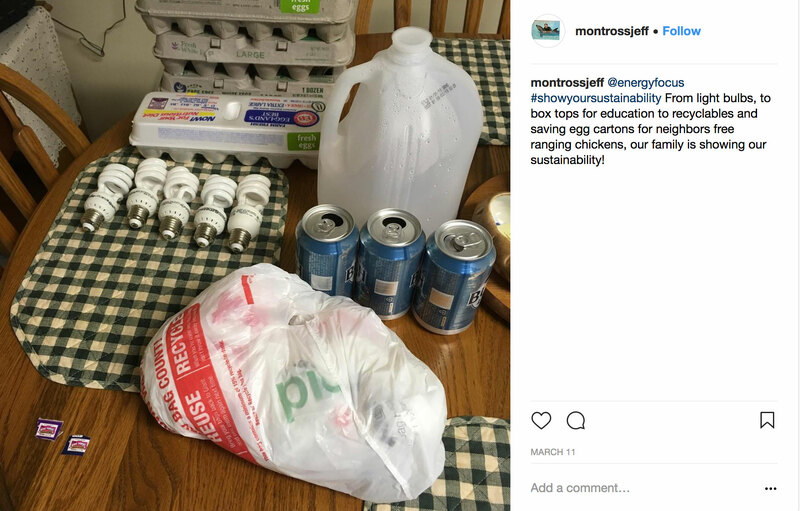 However, there are so many other ways to promote a sustainable life, like carpooling to work, using reusable grocery bags, recycling, drinking tap water, or donating clothes. Other simple ways to make an impact include lowering your thermostat, shutting down electronics when you’re not home, or choosing new energy-efficient appliances when old ones fail. Energy Focus keeps the environment in mind when designing LED lighting solutions. Not only do LEDs require less wattage compared to conventional lighting solutions, LEDs can last about three times longer than fluorescent bulbs. The energy savings attained by converting to LED lighting equates to a reduction of cars on the road, less dependence on electrical grids, less usage of oil and coal, and more planting of trees. It is as easy as changing a light. 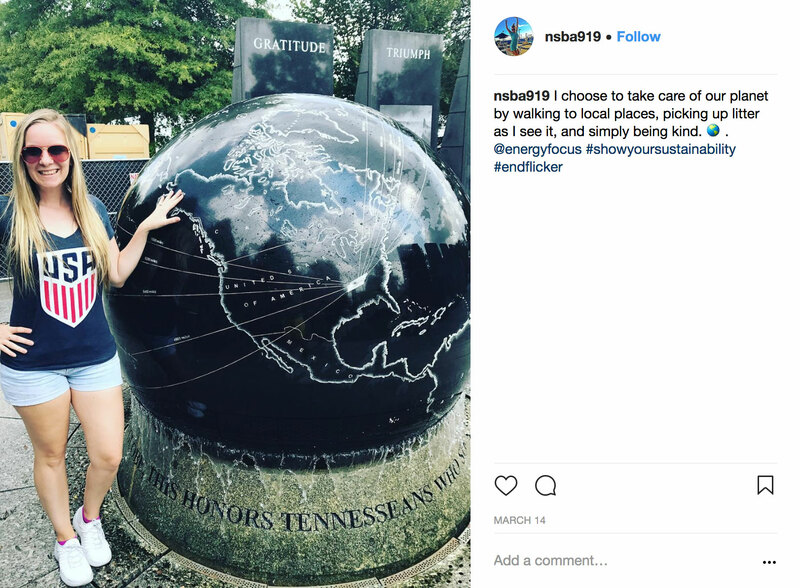 We asked our followers on Instagram to #ShowYourSustainability for a chance to win $100.00 from Energy Focus. We received over one hundred entries! Thank you to everyone who participated in the challenge. We are proud to announce @montrossjeff as the winner of our #ShowYourSustainability challenge! You can see his submission and the two runner-ups below. To see other submissions, you can view the #showyoursustainability hashtag on Instagram. 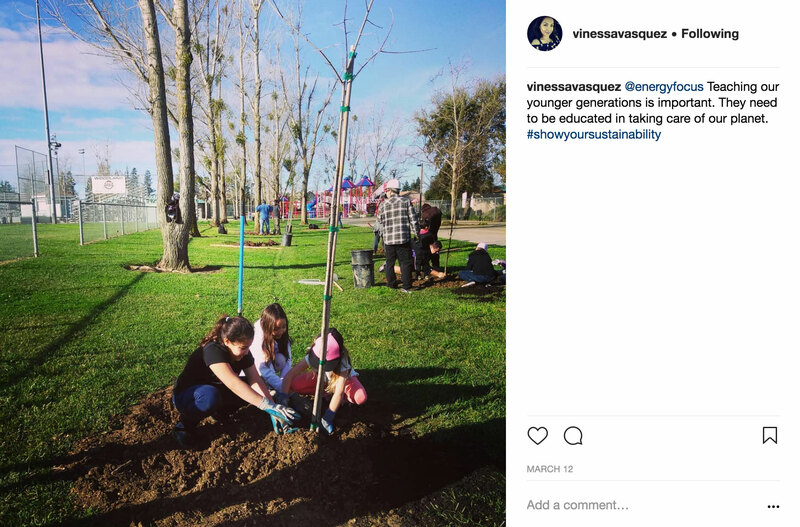 Follow us on Instagram for more updates from Energy Focus and view our #ShowYourSustainability Pinterest board to see more ways to be sustainable in everyday life.